Want to save $2,000 this year? Here are three ways to save on a tight budget! Home » Want to save $2,000 this year? Here are three ways to save on a tight budget! According to Bankrate.com, more than 1 out of 5 individuals aren’t saving anything toward emergencies, financial goals or retirement. In addition, a survey conducted by GoBankingRates.com found that approximately 58% of Americans do not have at least $1,000 saved! If you find yourself in this situation, here is an easy 1-2-3 approach to saving $2,000 this year! 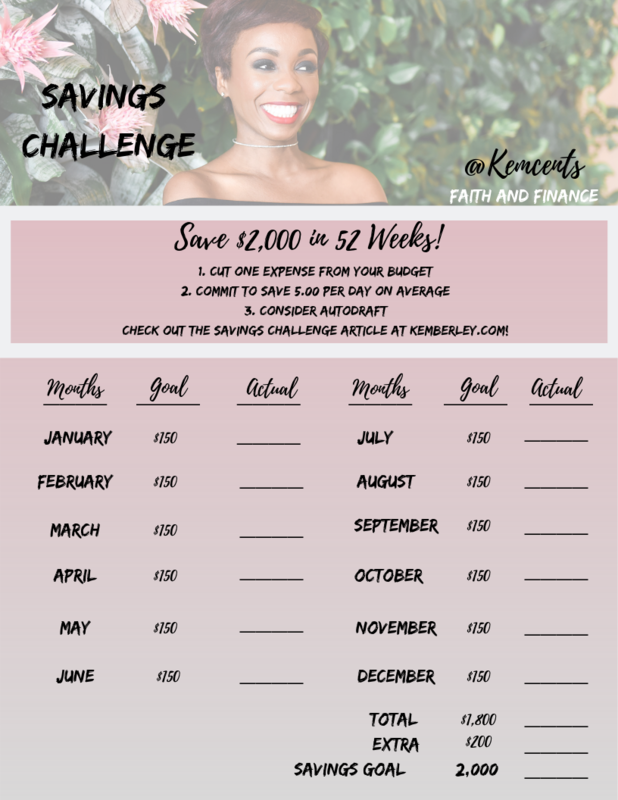 Download your savings challenge here! First, find ways to save more in your budget. Review your budget and determine what expenses you can live without in efforts to save more money! Think about eliminating premium cable channels, eating out with friends, or just saying “no” to the mall! More importantly, don’t use the money to spend on other things. Put it towards building your savings. Need help? 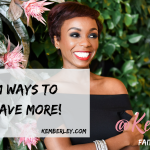 Check out my 21 Ways to Save! Next, consider saving $5 a day for the next 12 months! If you can not afford $5, consider a smaller amount. If you can do more, have at it! Saving at least $5 per day will generate at least $150 per month. While this isn’t a large sum of money, it is a great way to start! Consider eliminating stops to fast food restaurants, bringing your lunch from home or simply reducing unnecessary purchases throughout the day. 3. Determine how you will save it! 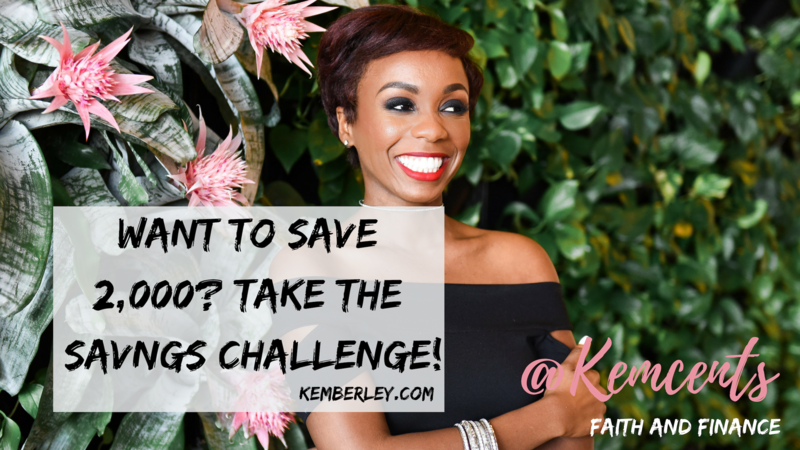 After you have found ways to save, committed to saving at least $5 per day, next you have to determine how you will save it! This could be accomplished in a few different ways. You first may want to consider an auto draft for your savings efforts. This way you are able to save with little to no effort. Next, you should consider saving into a savings account that is separate from your checking account. Finally, consider foregoing a debit card for this account to allow your savings to really add up! Want to get your personal finances in order? Check out Kemberley Washington, CPA at Washington CPA Services, LLC. Follow her on Twitter or connect with her on FaceBook!